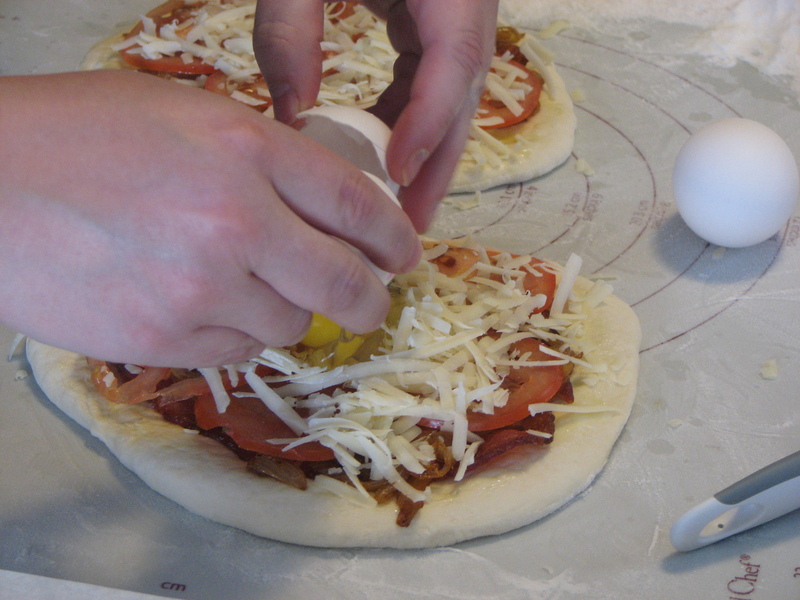 I am in the minority on this one, but I just have NEVER liked eggs. 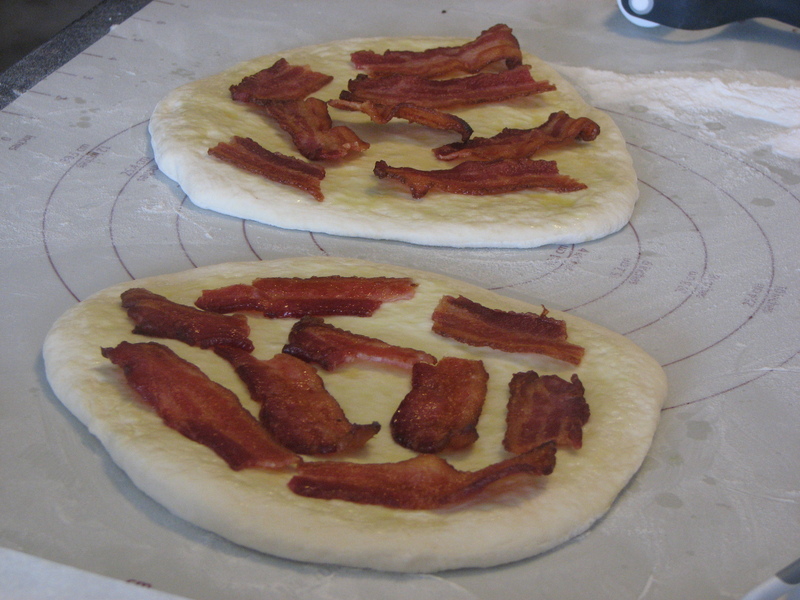 Now pizza and bacon on the other hand are right up my alley! 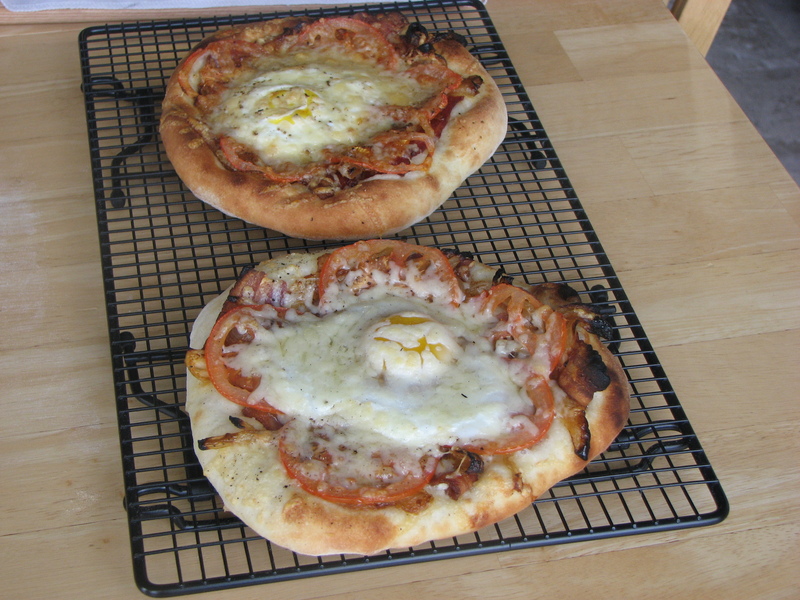 Even though I don’t do the egg thing, I do think these bacon and egg pizzas look delicious! 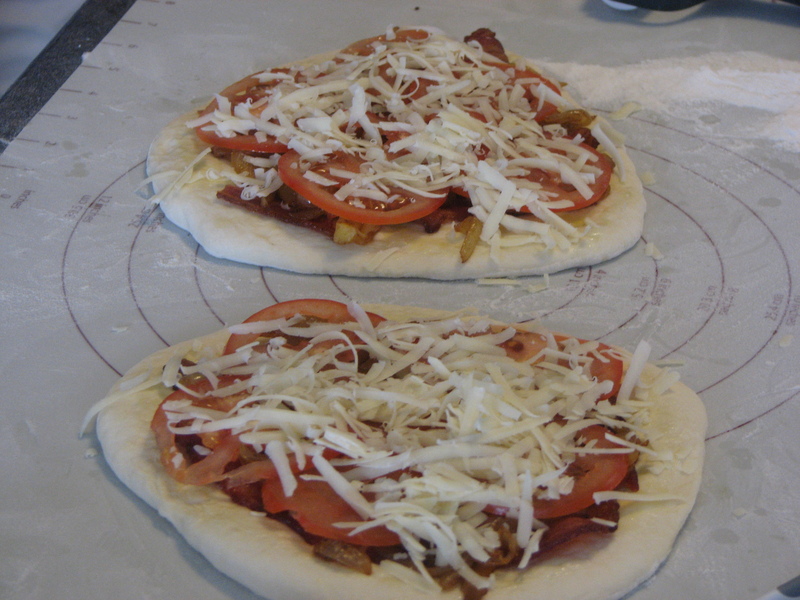 Brian over at WinnipEGGHeads made this fantastic looking pizza that I would be proud to serve guests any old time! 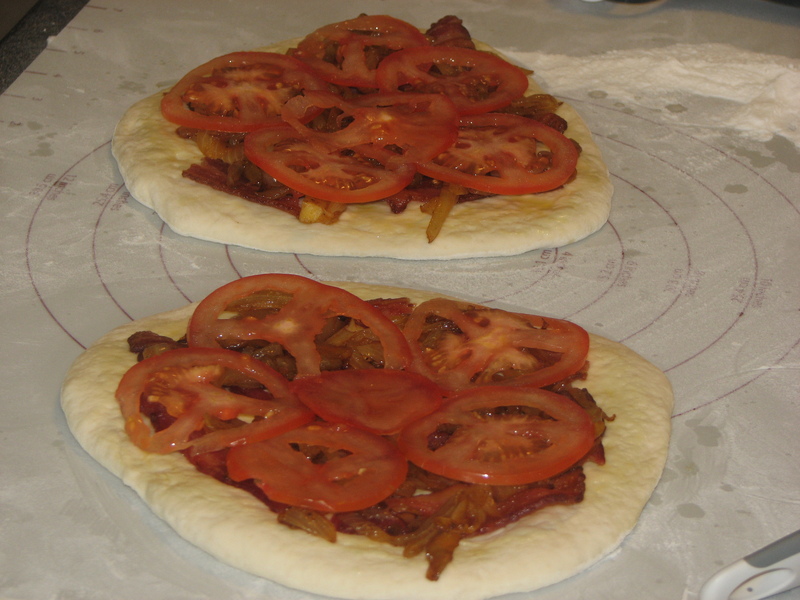 Brian cooked these pizzas at 600F and mentions he had a hard time sustaining that temperature for this cook. One of the great things about your BBQ Dragon is how you can adjust the speed of the Dragon and cook your pizza at almost any temperature you wish! 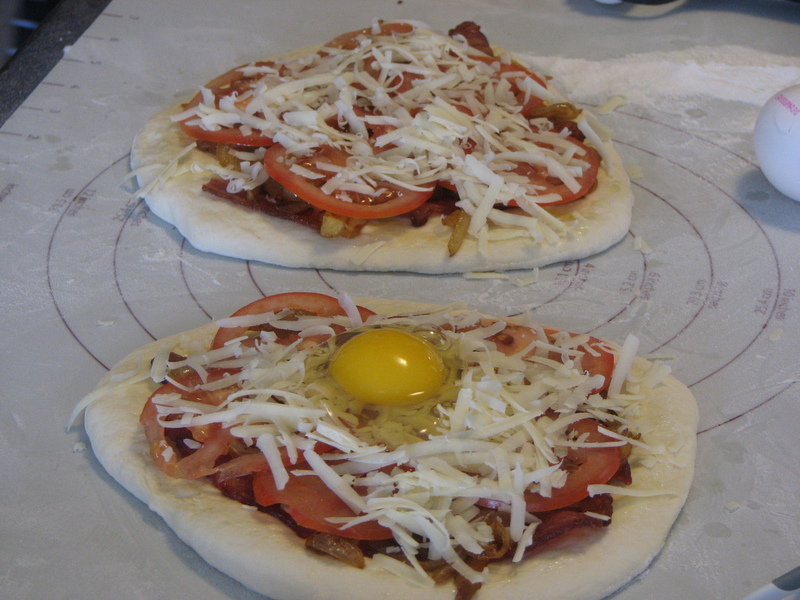 One Sunday morning, we decided that for brunch instead of just doing bacon & eggs, we would do them pizza-style on the Big Green Egg. 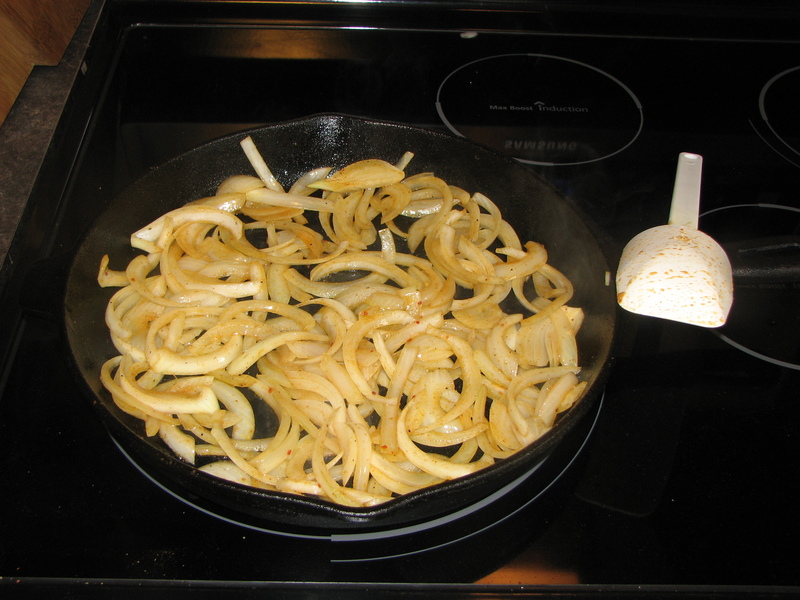 We started by cooking up some bacon caramelized some amazing onions in the cast iron skillet while the pizza dough was rising. 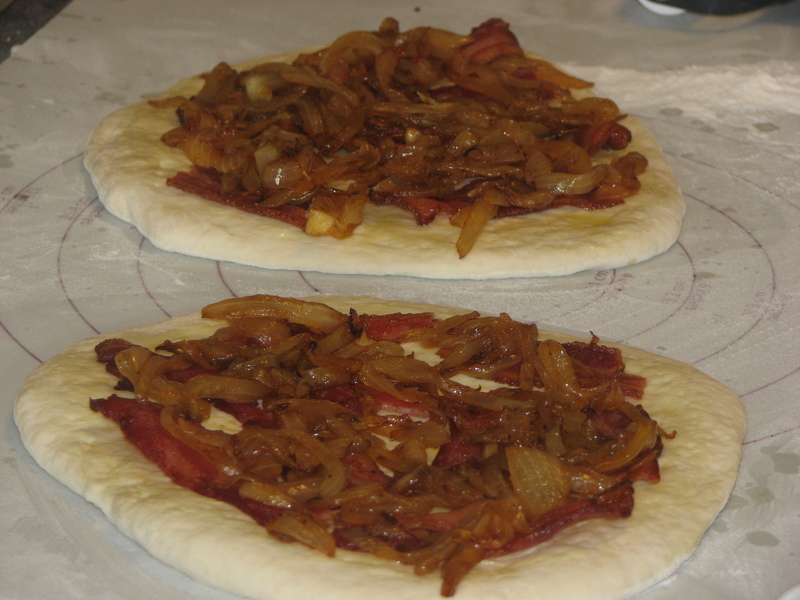 Everything all kind of came together at the same time… the onions finished caramelizing, the dough finished rising, the bacon finished cooking and the Egg was up to temp and holding steady, so we finally got the pizzas going. 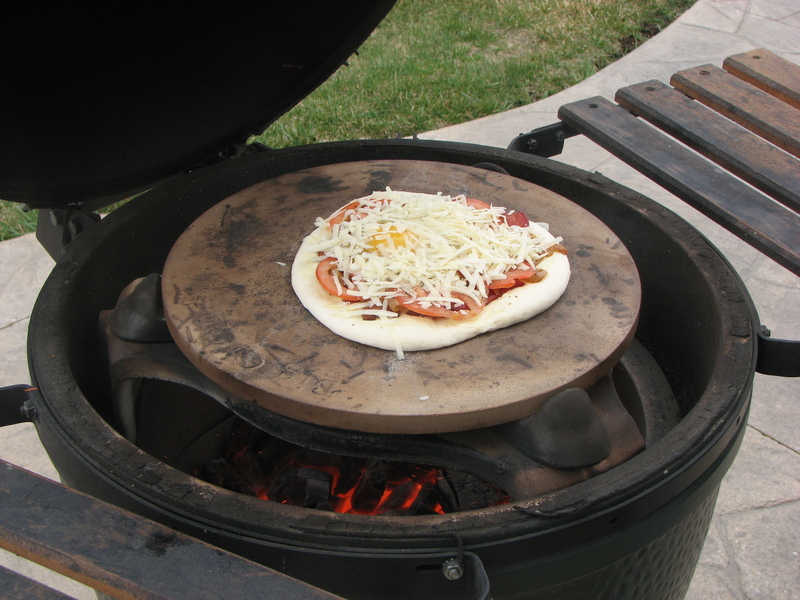 We then put on the Big Green Egg, one at a time. I didn’t do a good job cleaning the charcoal properly from the 2 previous cooks, so the Big Green Egg was having a hard time getting over 600F. 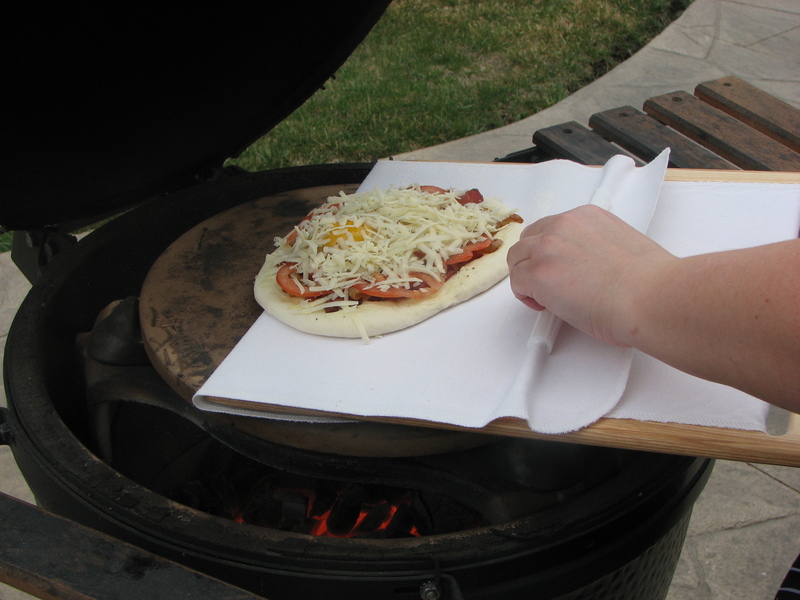 We used the Super Peel for putting the pizza on the BGE and it worked great!!! 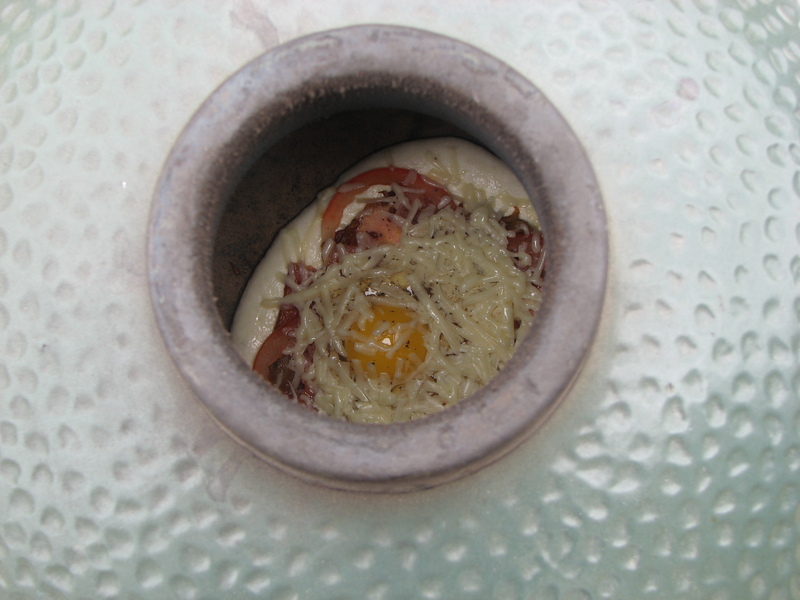 We thought we might lose the raw egg, but it was perfect. 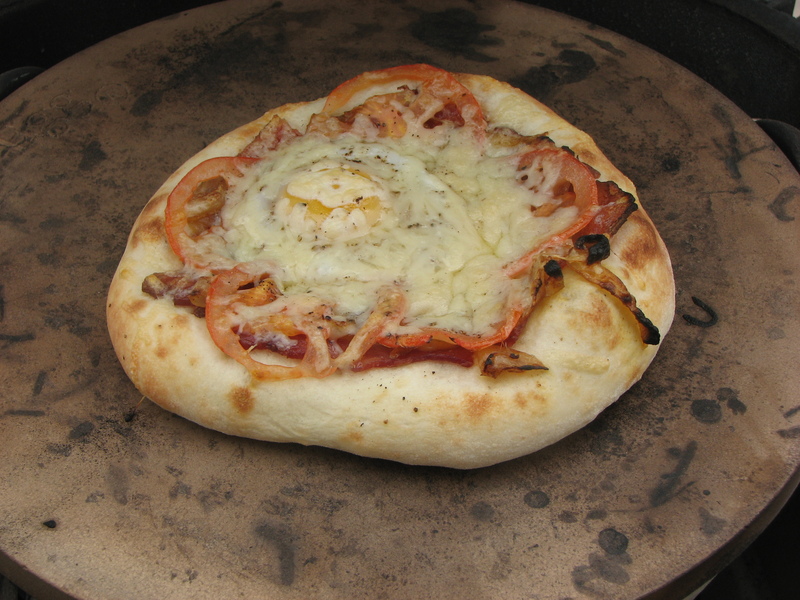 Now at this point the bottom of the crust was perfect, but because I was lazy in my fire starting and Egg cleaning we couldn’t the Big Green Egg hot enough to cook the actual egg on the pizza. 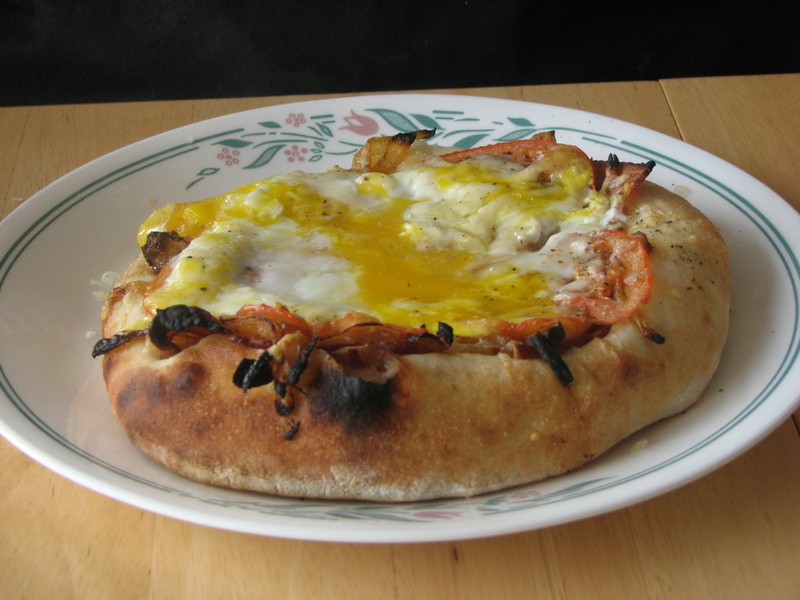 I don’t like a runny egg, so I put it under the oven broiler while we cooked Jackie’s pizza. 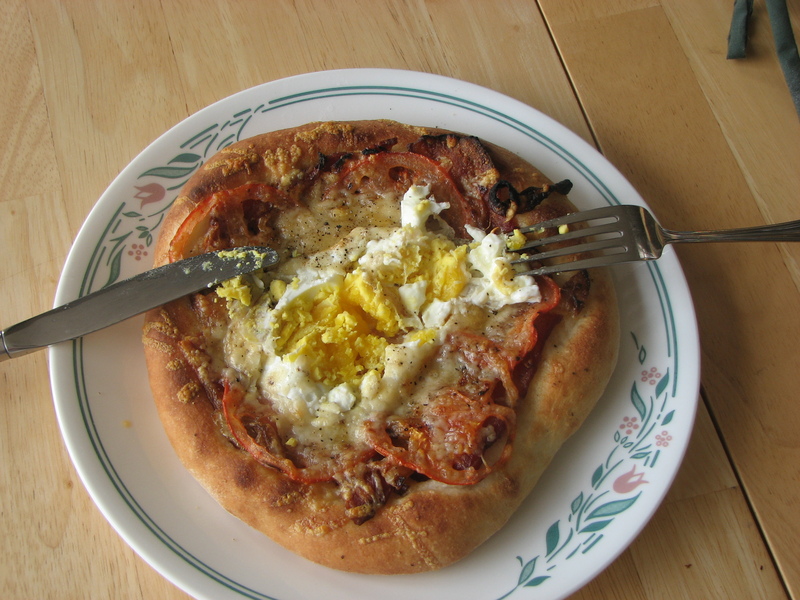 Here are the finished Brunch Pizzas, my egg is now cooked more how I like, while Jackie’s was good and runny… what she calls “nature’s sauce”. 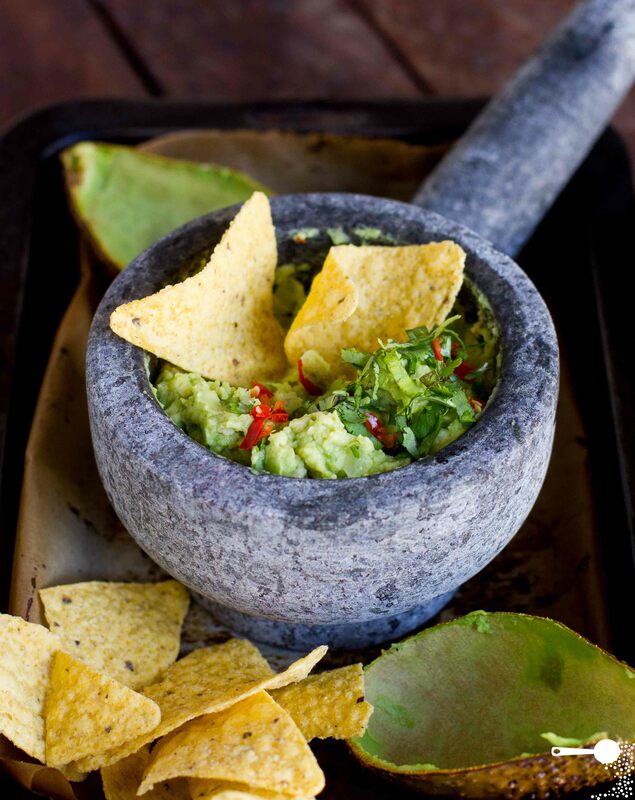 For next time I would get creative and maybe add some fresh herbs (basil seems like a natural fit) or you could even make a hollandaise sauce for it.